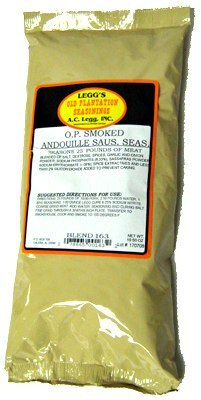 Full-bodied Cajunflavors, including several Peppers, Garlic, Onion, and hints of herbs, makes this Andouille stand above the rest. 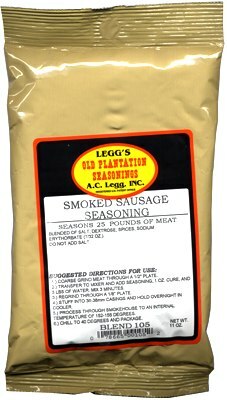 Old Plantation Smoked Andouille Seasoning is a great addition to a processor ’s line of Cured, Smoked and Fully Cooked Sausages. 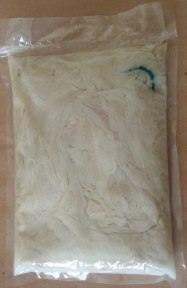 Blend of Salt, Dextrose, Spices, Sodium Phosphates (8.33%), Garlic and Onion Powder, Sassafras Powder, sodium Erythorbate (1.08%), Spice Extractives and less than 2% Silicon Dioxide added to prevent caking. THIS PACKAGE DOES NOT CONTAIN THE SODIUM NITRITE CURE. If you are smoking or processing meats at low temperatures (below 140 degrees F) you must use a sodium nitrite cure. 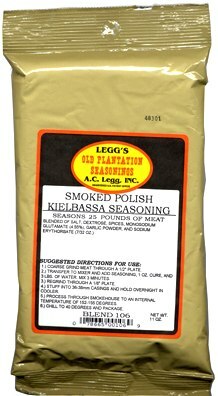 Cure for smoked sausage products are available in pre-measured one ounce packets or by the pound. A one ounce packet of Quick Cure is enough to cure 25 pounds of sausage. Please Visit The Cures Section of our store or see the related products below to order.